When many consumers are faced with the new experience of purchasing cannabis legally from a regulated dispensary, they can often find themselves overwhelmed looking only at the THC content of what they are buying. This isn’t just a rookie mistake though as many experienced smokers also fall into this trap. The fault does not lie with the consumer, nor the dispensary as products are often labeled with very detailed information. The issue is the infancy of the industry. Although the relationship between humans and cannabis stretches back thousands of years, the legality of cannabis in the modern world is only just beginning. To understand the dynamics of what’s involved in analyzing a strain by strain comparison, first we need to take a step back and look at the composition of the plant. The cannabis plant is much like any other at first glance. It possesses a root system, stem, leaves, and a flowering bud. But, when we begin to analyze the individual components present in the flower, that is where cannabis becomes a truly unique specimen. A cursory examination of the main properties researchers are investigating reveals several key elements in the chemical make-up of marijuana. Terpenes, Cannabinoids, and their coordinated effects when paired are some of the most important aspects of the plant. The nuances of how these terpenes and cannabinoids interact with each other is essential in differentiating strains and their efficacy for various treatments. One person determined to further study terpenes and their role in the consumption of cannabis is Darin Carpenter, Director of Cultivation at Tryke. He says that people were always aware of terpenes, even if they didn’t know what was happening scientifically. Many people determine what they would like to purchase and consume based on the fragrance of the product. Terpenes are responsible for the scents and flavors of the marijuana. These oils make each strain possess unique qualities. Some people prefer fruity, sweeter smells, while others enjoy stronger more pungent smells. The concentration of terpenes present determines all of these factors. Carpenter claims that the real interest in terpene analysis began when state’s started requiring labs to test the potency of their products. However, scientific studies are limited in the United States, causing some to rely on discoveries made by black-market growers. The importance of terpenes is their ability to act as a catalyst for the effects present in the cannabinoids. The amplified effects are a result of the synergy between the components, how they work together. Understanding which terpenes are present is important, but so is the concentrations of those terpenes. This is where cannabis connoisseurs can fine tune their desired experience in a way that is tailor-made from effect to intensity. Marijuana is used to alleviate many different ailments from anti-anxiety, to pain relief, to insomnia. Getting the terpene profile and cannabinoid composition right helps the consumer narrow in on their individual needs. For example, CBD which does not result in any psychoactive effects, often can help people who suffer from seizures both stop and prevent seizing. However, CBD strains with different terpene concentrations could alter the desired effect. That is why proper analysis is so important. There are a few more well-known terpenes already on the market. Myrcene is responsible for sweeter smells and is generally found in indica plants. Another is Limonene, as the name suggests this terpene carries more of a citrus tone, typically found in sativas. While these are two prime examples, there are more than 200 terpenes known today. Darin Carpenter reiterates that much more experimentation still needs to be done. 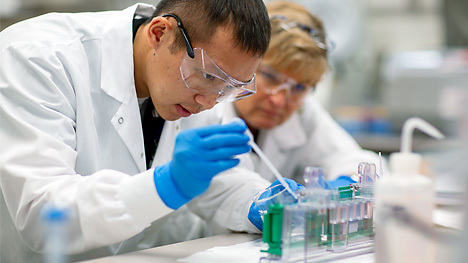 Many labs are now broadening their search and looking for more terpenes than they had before. 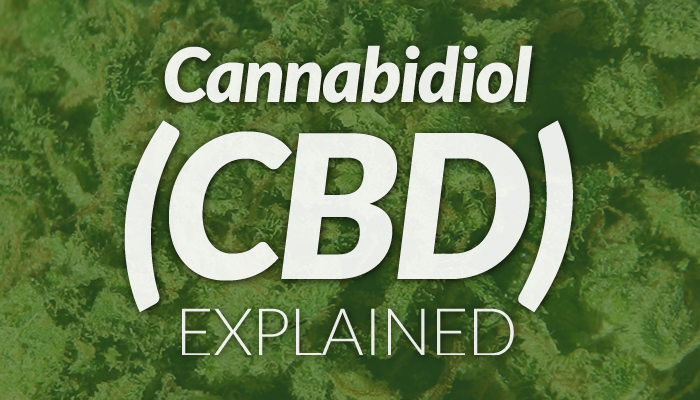 This is to further understand what is often referred to as the “entourage effect” which is the synergistic pairing of terpenes and cannabinoid compounds (such as THC or CBD). Scientists want to pinpoint these molecular profiles to better treat individuals. The need to understand the specifics in the molecular profile of different strains is due to the fact that some people experience negative side-effects with particular strains while other strains do not pose the same threat. Carpenter goes on to say that Medusa (another terpene) is unpopular with some people, but attributes it to his own pain and anxiety relief. What helps one person, won’t necessarily work the same with another person. Some people may feel comfortable and relaxed with this terpene present, while others report feelings of paranoia. There is so much focus on the THC percentage in products that these other important details can go overlooked. Finding a strain that effectively treats someone’s unique issues should be the priority. While THC is responsible for the psychoactive effect many people seek, some of the best strains available are actually lower in overall THC composition. When the right terpenes are combined with the THC and other cannabinoids present it can result in a much more powerful experience. Some consumers see the percentage of THC as a direct correlation to value and would not spend more for something that has a lower THC percentage if a higher concentration in a cheaper product is available. This is a critical mistake as some of the more expensive strains, while lower in THC, are often priced this way because they deliver an optimal smoking experience. Federal law in the United States has made it difficult in years past to conduct these studies and most of our relevant information comes from Israel and England where a majority of the research has been conducted. Because of this, many of the weed growers in the United States (even in the legal states) have simply been growing what they liked. As it stands, there aren’t many farms that have started a “targeted breeding program” to create a strain library containing a litany of terpene and cannabinoid profiles to capitalize on different effects, yields, and overall quality. In summation there is more to cannabis than just THC. A potent strain doesn’t always mean better efficacy for what someone may be looking for. There are many options available on the market and because of this people should seek flavors, smells, and effects that they enjoy, which may not be the highest potency strain.